Fiber Soil (12 Quarts) Premium Potting Soil by Window Garden - Plants Grow Better and Live Longer, Professional Grade Organic Planting Soil Your Plants will Love. PLANTS THRIVE - Because the natural fibers allow plant roots to absorb the ideal balance of water, oxygen and nutrients. PLANTS LIVE LONGER - The unique natural fibers provide abundant oxygen which reduces root rot from over watering, the #1 reason for plant failure. 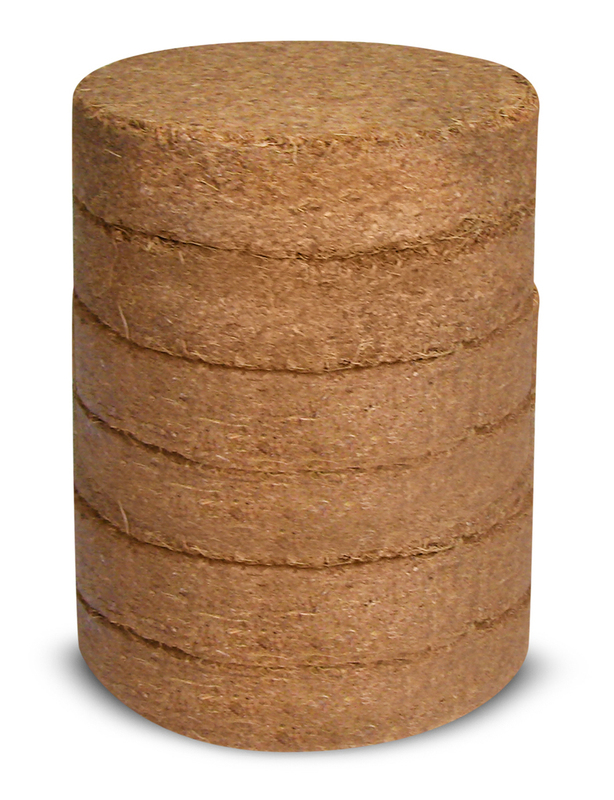 CONVENIENT & EASY TO STORE- Includes 6 discs, each 4" diameter disc expands with water to make 2 quarts of Fiber Soil. USED BY PROFESSIONALS - Top growers around the world are switching to Fiber Soil because it simply works better. Plants Grow Better- The natural fiber absorbs up to 10 times its weight in water, providing more water and nutrients to plant roots. And, because it has a near neutral PH, plants are able to absorb more nutrients without having to adjust PH with lime. Plants Live Longer - The fibers are like microscopic tubes allowing water to pass through without collapsing which also creates millions of air spaces providing vital oxygen to plant roots. Increased oxygen means less over watering problems, the #1 reason for plant failure. Reusable - Fiber Soil keeps its structure, resisting compaction and degradation so you can use it for least 2 seasons. Eco Friendly - Fiber Soil is made from renewable coconut husks, unlike peat moss that's mined from limited and fragile ecosystems. The mining of peat negatively effects our environment by releasing carbon into the atmosphere, contributing to greenhouse gases and global warming. The mining also destroys precious wildlife and contaminates ground water. Composting - Fiber soil is an excellent addition to your composting efforts; it adds essential carbon to create the ideal carbon to nitrogen ratio for a highly productive compost. Animal Bedding - Perfect for tropical reptiles and amphibians, its super soft and controls odors too. Fixes Poor Soil - Got sandy soil? Add Fiber Soil to hold more moisture. Got clay soil? Add fiber soil to loosen and add aeration. Note: Fiber Soil contains minimal nutrients, it is recommended to add fertilizer or mix with compost to feed your plants.